Beer haze it is the stuff of home-brewing nightmares! You have brewed and bottled your beer, it has been chilling in the refrigerator for the last couple of hours and you have your friends waiting to taste this beer that you have been talking about for the last few weeks. You take the beer out of the refrigerator and pop the cap of the bottle. There is that re-assuring popping sound and puff of CO2 gas that tells you that the beer has conditioned perfectly. You pour it into the glass and hold it up to the light to admire the deep rich chestnut hue when you notice your perfect beer has thrown the most unsightly beer haze that you could possibly imagine. What has gone wrong and what can you do to remove it. Perhaps most importantly what can you do to prevent it happening in the future? The first question is what is beer haze? Beer haze is the presence of insoluble particulate material in beer that leads to an unsightly cloudiness. 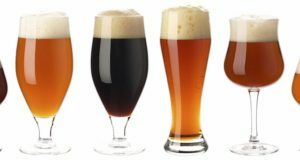 There are two main causes of beer haze and both can be associated with poor brewing practice. Microbiological haze is haze that is caused by the beer being infected by bacteria or wild yeast. A non microbial haze can be caused by protein/polyphenol interactions or the presence of undigested starch or cell wall material such as ?-Glucan. The main cause of haze, and one against which the brewer focuses a lot of effort is the haze caused by protein/polyphenol interaction. A protein/polypehnol haze is formed in beer due to the oxidation of polyphenols to form larger tannin molecules that associate with protein to form insoluble particles. Non microbial haze can be controlled through the brewing process where the precursors of the haze can be removed by absorption, precipitation, filtration or enzymic breakdown. 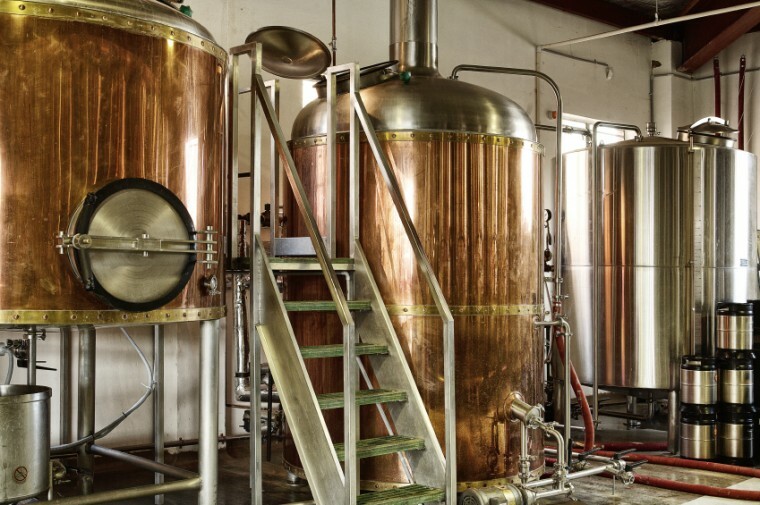 In part the brewhouse operations are designed to precipitate out protein/polyphenol complexes and therefore reduce the potential of the formation of beer haze. 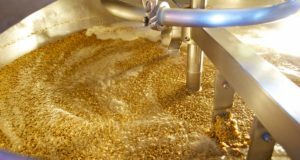 For example a good rolling boil combined with the addition of copper finings helps to reduce beer haze causing proteins and therefore greatly improves the haze stability of the final beer. Outside of the brewhouse further stabilisation is carried out by brewers post-fermentation to remove the protein and/or polyphenol components that cause haze. Treatments include the use of silica hydrogels or xerogels as a physical absorber of protein, enzymes such as papain and the more targeted proline specific proteases which breakdown the protein into smaller peptides. 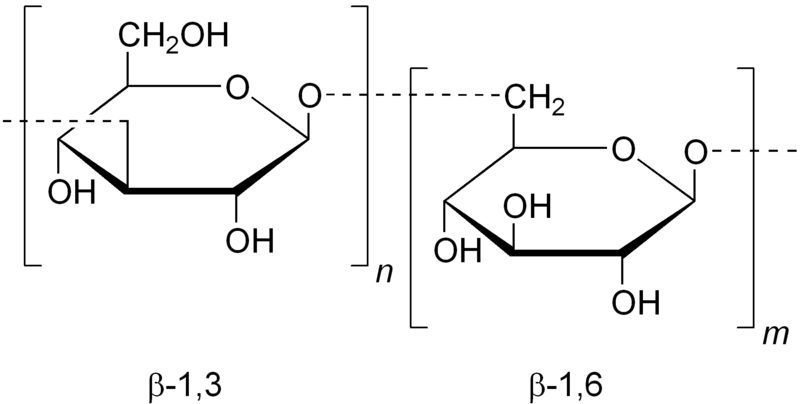 With respect to the removal of polyphenols brewers often use polyvinylpolypyrrolidone which, for the sake of sanity, is abbreviated to the much easier on the tongue PVPP. Finally filtration is used to give the beer a final vital polish. In practise the homebrew is limited in terms of what they can do to remove haze. First is to check that the haze is not microbiological. Often a haze created by bacteria or wild yeasts will be accompanied by an off-flavour. If the beer has an acceptable flavour then it is likely that it is a physical beer haze. 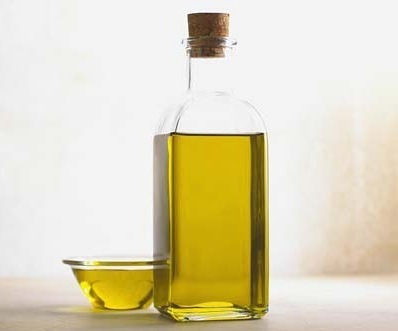 A starch haze can be confirmed by iodine stain, if this is positive for starch then look to alter your mashing regime to encourage a more thorough breakdown of starch. If the iodine test proves negative then it is highly likely that the haze is due to protein/polyphenol complexes. Make sure that your boil is rolling and vigorous and consider the use of copper finings like carrageenan to encourage protein precipitation. Finally one thing to bear in mind, if you use malt extract in the form of a homebrew kit that you do not boil, is that some manufacturers do not boil the wort prior to the evaporation process. The result is that there will be a higher haze sensitive protein content in the malt extract and so the beer is more likely to form a haze. Although beer haze can be unsightly, unless it is a microbiological haze, which is accompanied by an off-flavour, the beer will be fine to drink.